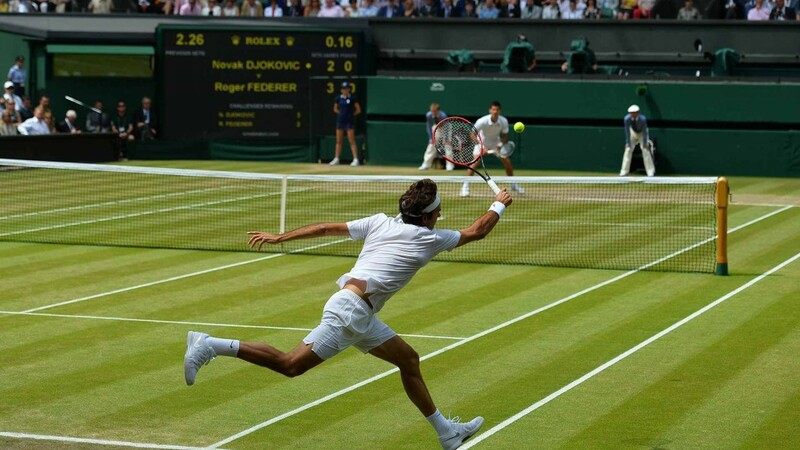 Cannizaro House is a spacious facility offering first-class, official hospitality at The Championships, Wimbledon. Here, you’ll be immersed in the relaxed atmosphere while we deliver outstanding service, to guarantee you an unforgettable experience. we are delighted to be offering VIP hospitality at the Hotel Du Vin – Cannizaro House, where Cornucopia Events has secured exclusive use of the fine-dining banqueting suites. To allow guests maximum flexibility and the opportunity to enjoy the exclusive facilities of the Debenture Lounge, we are providing pre-tennis hospitality, with a provision for guests to return for a complimentary evening cocktail. Or, take a transfer to the gates to enjoy world-class tennis in your courtside seats. We only include the best seats on Centre & No.1 Court. Tickets are issued in pairs and as such only ‘even’ numbered bookings are usually accepted by us. When you book please specify which court you would prefer and whether you would like a split between the two. The Centre Court now has a retractable roof, thereby increasing its popularity – please book early to avoid disappointment. £3,999 per ticket, sold in pairs. Subject to VAT. We can accommodate any request depending on the client profile and budget. A meet and greet with a legend of the past such as Carlos Moya, Goran Ivanisevic, Darren Cahill, Brad Gilbert (and many more) the price ranges from £6,000 to £30,000 while for an active player we can find anything from £30,000 (For a top 20 player) up to £120,000 (for a top 10). All prices are subject to VAT.